Hey guys, guess what? It’s December! Already! I feel like November was just a thing that didn’t happen. This year has absolutely flown by and I’m not sure where the time has gone. 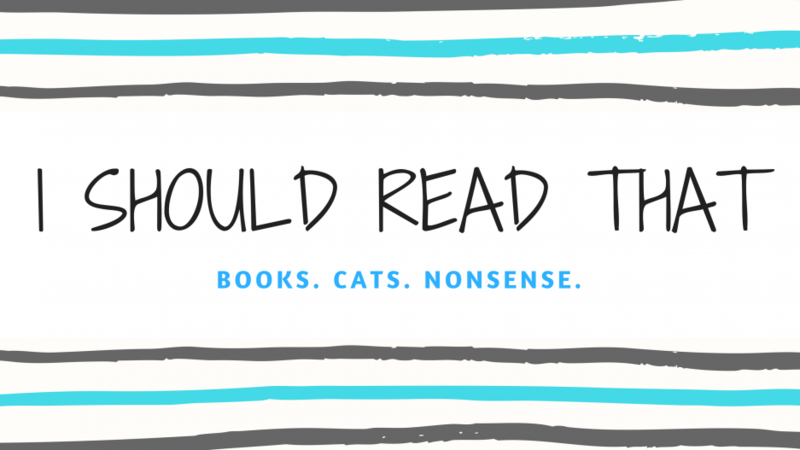 But now that November is over, it’s time for my monthly reading round-up. I managed to read seven books this month, but honestly it feels like a lot less. I’ve been busy with travel, holiday things, and my personal life — I’ve just not had time to dig into reading. It’s a shame, but I think my reading binges from earlier this year balance it out. Here we go! So seven books isn’t so bad. I was hoping to read more, but things happen. This does mean that I’ll need to read 10 books next month in order to achieve my stretch goal of 100 books in 2017. I think my favourites of the month were Do Androids Dream of Electric Sheep, Midnight in the Garden of Good and Evil, and Murder on the Orient Express. Although they’re all very different (one classic sci-fi, one classic mystery, and one true crime), I thought each was just so good and so much fun. The only disappointing read of the month was The Seventh Decimate, which I reviewed yesterday. You can take a look at that review if you’d like to see why, but oh do I wish it was a better book! So despite not really reading much, I’m actually reading some incredibly exciting things! I started Strange Weather yesterday and am only a few pages in. I’ve never read anything by Joe Hill, Stephen King’s son, but I’ve heard great things. Strange Weather is a book made up of four short novels, and the title page of each one is illustrated. Cool! So, The Bear and the Nightingale was one of my favourite books this year. Yes, I read it in January — the year started off strong! I thought it would be a standalone book, but a few months later I realised it would be a trilogy. I didn’t really know how I felt about that because the ending is so perfect, but when proofs of The Girl in the Tower were available I knew I had to snag one. I’m only 65 pages in, but I’m warming up to the idea of a continuation. I’m really looking forward to finishing this up. Lastly, I made the last-minute decision to reread The Way of Kings and Words of Radiance before Oathbringer’s release. I realised I had them both on audiobook from way back when I had an Audible subscription. I’m nearly done with The Way of Kings and plan to finish tonight while wrapping Christmas presents. I’m not 100% sold on audiobooks, but I think they’ll be amazing for rereading books. Oh I was bad and bought a lot of books this month. But ehhhh, Most notably are The Sin Eater’s Daughter and The Potion Diaries, which I got at an author event and are both signed. Also, Oathbringer! Oathbringer!!! I’m taking my time with my reread so I probably won’t get to this anytime soon, but ooooh am I looking forward to it. I got the American edition, which is far superior to the UK one (not usually the case, especially with Sanderson). I also picked up Gardens of the Moon, a book I swore I wouldn’t read until I finished Wheel of Time, for my January book club. But with Crossroads of Twilight (book 10 of 14) staring judgmentally at me from the dusty shelf for two years, I am happy to give Gardens of the Moon a chance. It’s the first book in a very complex and long series, hence my hesitation to begin it while reading another complex and long series. Lastly, I’m clearly loving all the PKD I’ve been reading and I got Ubik and Flow My Tears, the Policeman Said. Both look amazing and both are definitely getting put into my TBR pile for the month. I had a good amount of book mail this month! The last bits of The Great Gollancz Requesting Spree came in — The Massacre of Mankind, Cryptozoic, The Embedding, Aurora Rising, and The Man in the High Castle are all Gollancz titles. Strange Weather by Joe Hill is another Orion title. This Mortal Coil is a book I’ve been really wanting to read, but haven’t had a chance to sit down with yet. So many books and so little time! That’s it for November! I’m not participating in Blogmas because I didn’t find out about it in time to draft up a ton of posts, but I’d love to see your Blogmas celebrations! Let me know if you’re participating and I’ll be sure to take a look. Things are getting cosy in my house. So, what have you been reading this month? Have you read any of these books? Let me know! 7 books is great! I am so glad that you enjoyed Murder in the Orient Express. It is definitely a fun book and I now understand why Agatha Christie is so beloved!